Today is the birthday of Erich Weiss/Harry Houdini. He was born March 24, 1874 in Budapest Hungary. Though he always celebrated his birthday as April 6th and his birthplace as Appleton Wisconsin. 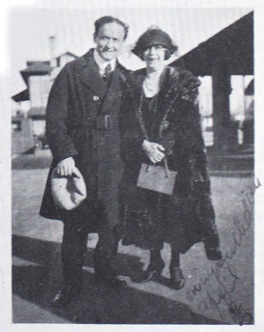 The photo above shows Houdini and his wife Bess which was taken on his American birthday, April 6th in the year 1923. He is a young 138 years old today! Happy Birthday Harry!! !